Today is 2 days shy of my 2 month anniversary being married to Tyler. Life keeps changing and it is fun and crazy and exciting and scary, and surprising. 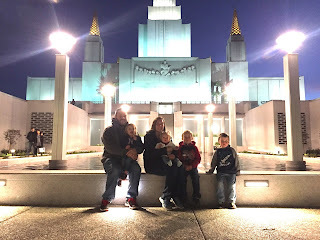 The most recent surprise came about a month ago when we got back from our trip to Canada with Tyler's family. Toward the end of the trip I was more that sick of being in the car, I was just not feeling well at all. When we got home I was relieved to relax and take care of myself... but things weren't quite right, my period was late. The next morning Tyler and I pulled out a pregnancy test one of my cousin's had so craftily added to her bridal shower gift to me... and I gave it a try. Tyler was too scared to be anywhere near by so he stay in bed and just waited. 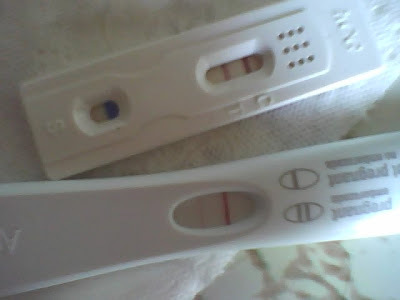 Apparently when 2 lines appear.... like they did on ours... it means I'm pregnant. When I told Tyler he got a sort of glazed over look on his face, then he said something to the effect of "I knew it...". Just to be sure the test wasn't faulty or something, we went to the store and bought another test from a different brand. Within the allotted amount of time 2 lines appeared on this test also. I had no idea where to go from here, so I called my dad, who just laughed. As I talked to him we discussed the problem that we faced... No Health Insurance. After calling the School's health insurance program customer service I found out that there is a 63 day allowance between coverages. Since the school's insurance program isn't effective until August 20th, that means the time between when my dad's insurance for me stopped and when this one starts is 51 days. This means We've been blessed abundantly! I have continuous coverage!! The pregnancy will be covered after all! SO. Now I'm a little over 8 weeks along (according to the funky way they count beginning with the first day of the period BEFORE conception). I'm in the process of trying to find a good doctor/good group of doctors to take care of me. 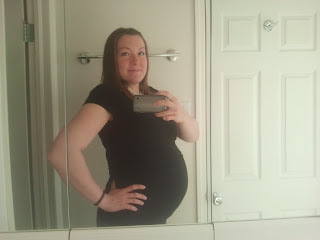 I'm planning on doing this without an epidural or anything like that so it is going to take a great deal of prep. and I'm going to need and open minded patient doctor/ group of doctors. One of the coolest parts about this unexpected blessing is that my sister Shay is pregnant right now too. She's farther along than me but not by much so it is going to be fun to have cute little babies the same age. It is also really nice to have someone who is has just barely done what I'm trying to figure out how to do. It has already made this whole thing easier. So there you have it, we got married and then jumped right on to the pregnant bandwagon. It should be an adventure though! Yippee!! Cute story! I'm so happy for you and I'm happy that we get to be pregnant together. I'm sooo glad that everything worked out with insurance and everything. Congrats! Congrats! I am glad that you put that pregnancy test to good use....and you told me you wouldn't need it anytime soon! Haha. Congrats Bre & Tyler! That is great news! I read the title of this post and started counting in my head she's been married for what, like a week? I guess technically that's possible.... :) Really it's just that I saw your wedding pictures a week ago, that's different. I'm so happy for you, you'll be an amazing mom. I guess since it's not April fools day then I can say conratulations! Thats great that you get to be pregnant with Shay. Sisters like your are the best! Good luck and maybe call Amanda and Mike to see if they liked their Doctor up there in Logan. P.S. I'ts not uncle Jim who writes on these its me Aunt Dawn and I don't know how to change the (Jim said) thing! Yay Bre! That is so very exciting! And I love how you told the story. Congrats! Thanks everyone! We're excited and clueless. Haha. Amy: pretty sure it feels like we have only been married for like a week, but it is almost our 2 month anniversay and that is just crazy! I'm sick a lot and then I find something I can keep down... But it only works a few times before I'm sick of it too. I remember reading about your fun with throwing up... Yeah I don't really wear make up these days. Ugh. Sorry you're sick, I wouldn't wish it on anyone. BUT "it's nothing 9 months won't cure". :) Seriously thrilled for you! Congrats! I'm SO excited for you! Hey Brianne, I just forgot how to spell your name!? Huh, oh well. I'm just writing to give you an excellent doctor reccomedation if you don't already have a doctor. Dr. David Kirkman at the cache valley womens center. He works in a group and I met with all the doctors in the group, they are all great. Please don't hesitate to call if you have questions you want to ask.